Want to be on Draycott in the Moors Council? This weekend sees Remembrance Sunday, which by chance also falls on the same day as Armistice Day – November 11th. This particular Remembrance Day is extra special, as we all know, because it is the 100th anniversary of the day the Great War came to an end in 1918 – when peace was declared, and “the guns fell silent”. All over the country, villages have been pulling the stops out to ensure their own war-dead and war-wounded are remembered; and to remind the young that war is a terrible thing, with a terrible cost. The main event here in Draycott will the peal of bells for peace (see below for details). 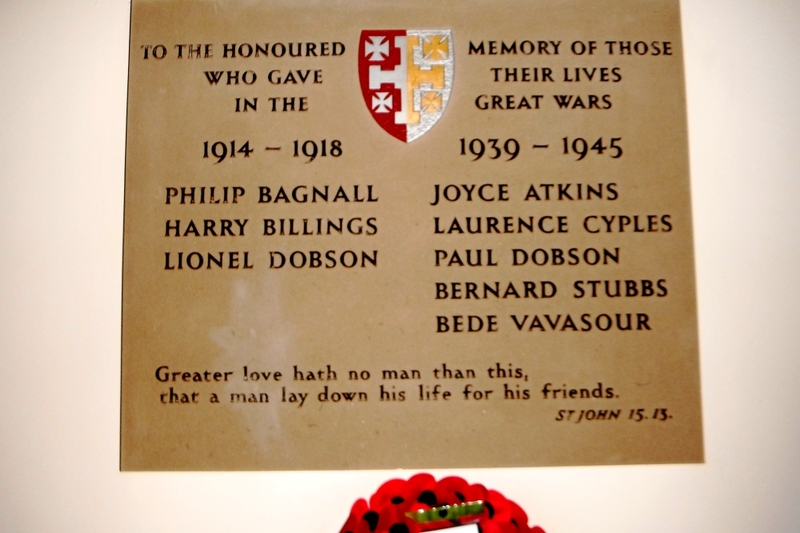 The folks who put this website together decided to make research into Draycott-le-Moors Parish’s war memorial our contribution to the Great War Anniversary project. It was a big surprise to us that almost no-one knew much about how the memorial had come to be, nor about those whose names are commemorated on it, so we have been working on it (see our research). Though research never really gets ‘completed’, we are happy that a lot more is now known about the memorial because of our efforts. This month we also got the good news that the Imperial War Museum has crowned our hard-work by approving our application to include it in its official listing of memorials. Check out the new entry – click here. Sadly however, the businesses, voluntary groups and institutions of Draycott district don’t really seem to have risen to the great challenge as they have in other areas – with one honourable exception. 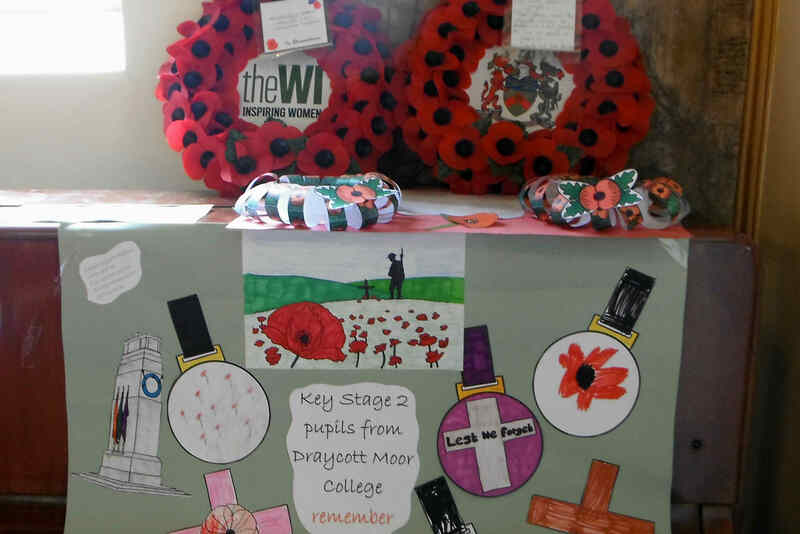 (As far as we know… though, if you know of other significant commemorative efforts in Draycott, please contact us). Other Moorlands villages have: designed huge, creative poppy displays; put together commemoration gardens; arranged lectures & readings & concerts; commissioned sculptures; supported history publications; built beacons; and organised exhibitions about their community at time of war. Even in villages next-door to us you will observe: wonderful commemorative gates (Forsbrook); ghostly soldier figures (Dilhorne); a remembrance garden (Fulford); a cenotaph poppy display (Blythe Bridge); a ‘Poppy Party’ (Tean). But here in Draycott, sadly, nothing to compare – bar the one we will now highlight. However, back to the honourable exception. For a major gesture, once again we have to thank John Clarke. John, who seems to leads so many community projects here in this district, has worked with the bell-ringing team at St Margaret’s over the last six months to ensure that Draycott is part of at least one set of national celebrations. At 7pm on Sunday evening (November 11th), the bells of St Margaret’s will ring out in a long peal, as part of the nation-wide ‘Ringing Remembers’ event – when thousands of church bells across the country and across other Moorlands villages will ring out, all exactly at the same time. Not only will the action echo the bells that rang out for peace exactly 100 years ago, it will also be another formal moment to remember those who were mown down in the slaughter of World War One. Everyone who wishes can attend, and all are invited to light a candle, as a commemoration, and as a hope for peace. So it should be an emotional few minutes for all those who can be there, either inside or outside the church. Thanks to John for making it happen. Of course, St Margaret’s Church will also be holding, as usual, its annual remembrance service. For details, please see our What’s On pages. 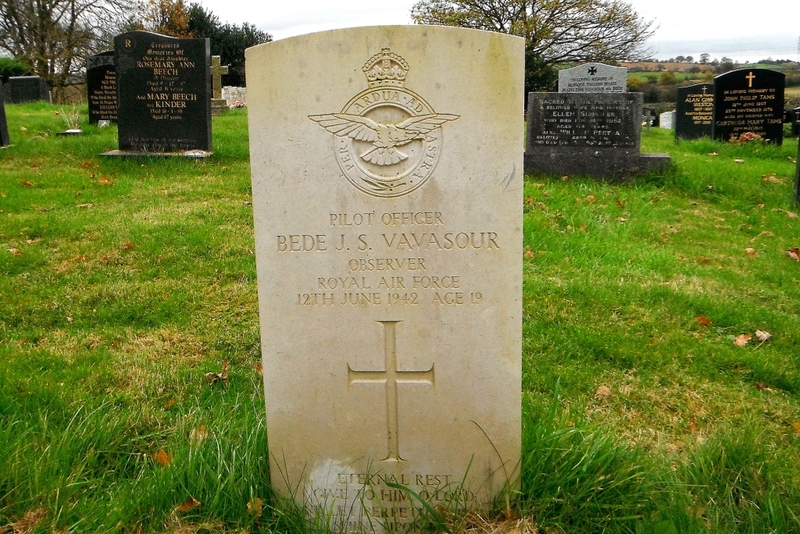 As for observances at war graves, across Draycott district there is only one official war grave (see pic above) – that of Bede Vavasour, the young pilot who died in World War Two. He was descended from the Vavasour/Stourton family, who were the major ‘lords of the manor’ round here in the eighteenth and nineteenth century. His grave can be seen in the cemetery at St Mary’s Catholic Church in Cresswell. Each Remembrance Sunday, his grave is formally blessed by the church priest. It’s a shame that Draycott’s efforts – apart from the admittedly wonderful bell-ringing event – have been so slim. The village really does need some inspirational and energetic community leaders, ones who could come forward to make things happen on occasions such as these. Cross fingers that there are, and that they will appear soon. This entry was posted in events, heritage and tagged draycott moor college, Ringing Remembers, st margaret's bell ringers, St Margaret's Church Draycott, St Mary's Church at Cresswell. Bookmark the permalink. Some of us have made the effort in our own way. Some of us did our bit – ie the silhouettes of the Tommy’s in the village. NEWS: Vale?…Fields / Candidates needed / Road sign confusions / Betty is 106! NEWS: developers’ dates / jail term / more b&b / have a hall party! NEWS: Local Plan / Armistice events / potholes! NEWS: car fireball / Blythe Vale go-ahead / footpaths concern / baby ballet! St Margaret’s Church – full of facts!